Videos of people surviving in the Hurricane Harvey-ravaged coast of Texas have flooded the internet, as locals share their experience of one of the worst natural disasters to hit the US in over a decade. A tornado has reportedly damaged a gas station in Houston amid severe storms and flash floods, a local woman posted on Twitter. Hours before the reported incident, she said she "should have listened [and] evacuated." On a highway in Rosenberg, 25 miles (40km) southwest of Houston, a large sinkhole has opened up, leading a road bridge to collapse. Pieces of highway asphalt could be seen hanging from the edge of what used to be a road, with water filling the sinkhole. 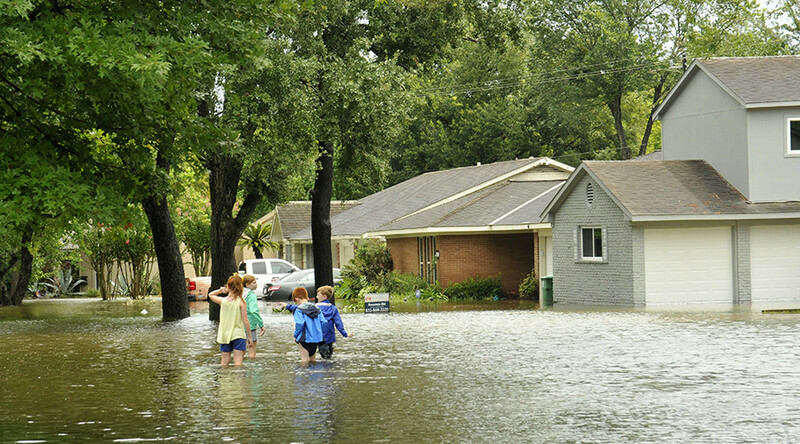 Due to the hurricane, which is already being compared to the Hurricane Katrina disaster of 2005, 18 counties in Texas have been declared federal disaster zones. Nearly 7 million people live in the worst affected areas. More than 30 inches (76cm) of rain have fallen on parts of Houston, the most populous city in the state, in the last 48 hours, the National Weather Service reported, adding that more rainfall was on the way. Among the many buildings flooded was headquarters of a local TV channel, KHOU 11 News, with its employees forced to evacuate the station. National Guard troops have been deployed in response to the disaster. Hundreds of vessels, some of which were sent from Florida and Louisiana, have been taking part in rescue operations, and authorities have also asked people who own a boat or a high-water vehicle to help in the efforts. "We can't wait for assets to come from outside," Harris County Judge Ed Emmett, who oversees government operations in the area, has said. People on Twitter have been praising the Good Samaritans who are already working to save lives in the area. She posted videos of her father catching fish right inside of their house. "We're all safe and OK no one got electrocuted," she commented.